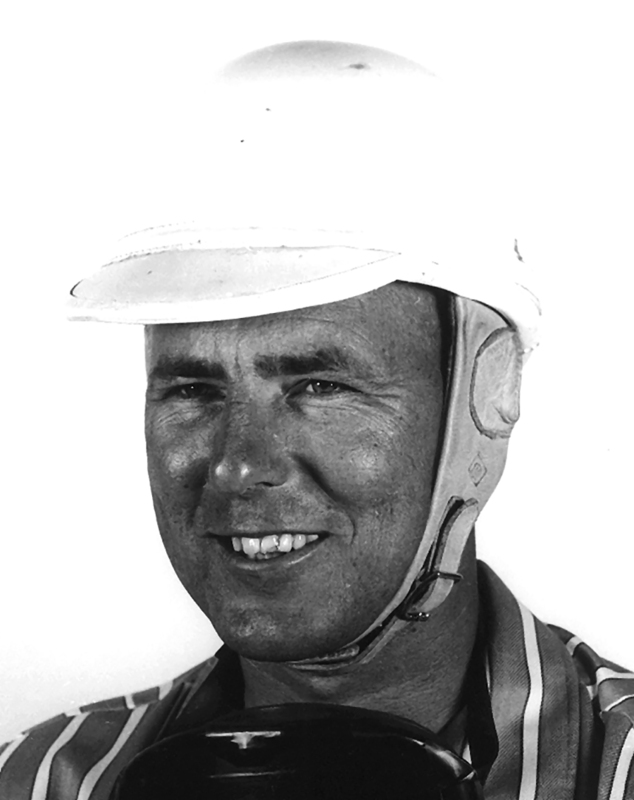 JIMMY BRYAN, universally recognized as one of the greatest dirt track drivers, won the National Driving Championship three times, in 1954, 1956, and 1957, and was second in the final standings for 1955. 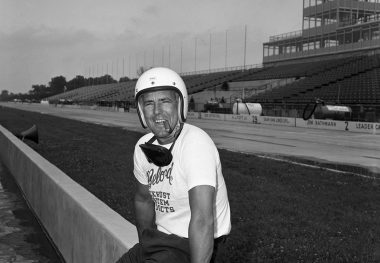 He won a total of 19 National Championship races from 1953 through 1958, and at one stage he won seven consecutive races on dirt tracks. 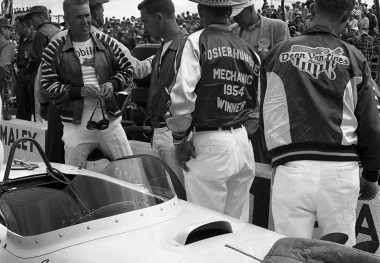 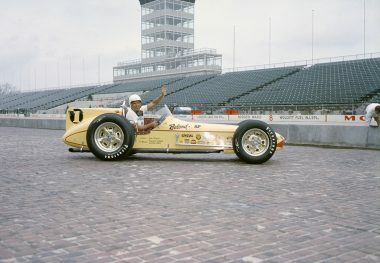 He won the 1958 Indianapolis 500, after finishing second in 1954 and third in 1957. 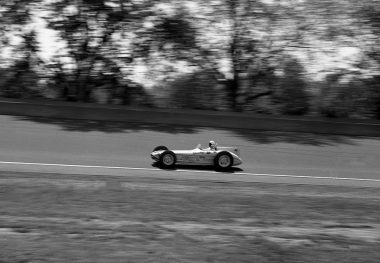 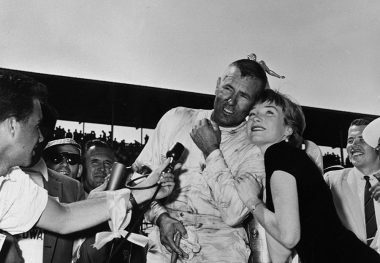 One month after the 1957 race, the colorful Bryan endeared himself to European fans by winning the first Monza, Italy, 500-mile invitational (run in three stages) in his usual style, chewing on an unlit cigar and then raising both hands to take the checkered flag. 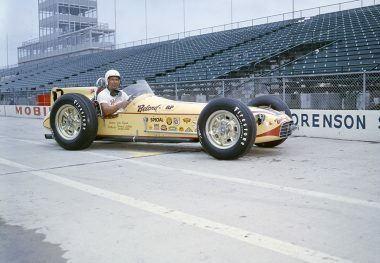 He placed second in the same event the following year. 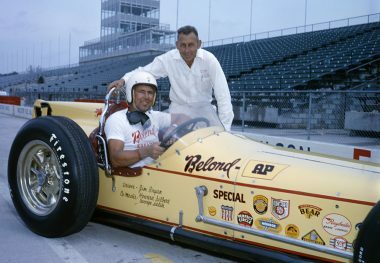 Bryan won 17 American Automobile Association sprint car races from 1951 through 1955, ranking third in the East Coast standings in 1952. 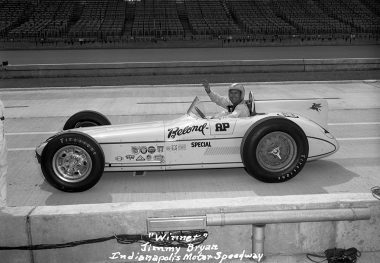 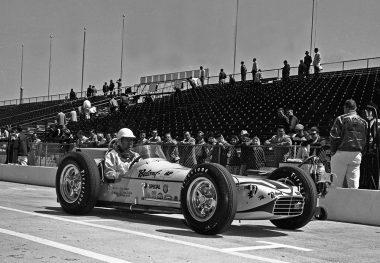 In one remarkable weekend in September 1956, he won the Hoosier Hundred on a Saturday afternoon and a 250-mile United States Auto Club stock car race at the Wisconsin State Fairgrounds the following day. 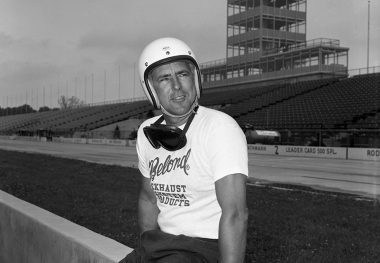 He was fatally injured on the opening lap of the National Championship race at Langhorne, Pennsylvania, on June 19, 1960.